When you or someone you love is hurt you need a personal injury lawyer who is going to help you and be a strong advocate on your behalf. You need a lawyer who has experience and a great record of winning cases. 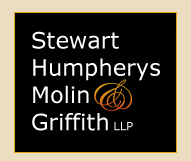 At Stewart Humpherys Molin & Griffith, we have been winning personal injury cases since 1967. If you have been injured through no fault of your own, Richard Molin, has the experience and the team to represent you in dealing with insurance companies and defense attorneys. As a serious injury law firm, you can expect we will treat you with respect and compassion, and provide you the best legal advice and knowledge available anywhere. We specialize in personal injury cases including auto accidents, construction site injuries, financial injuries, mass accidents, medical malpractice, and more. There is NO COST to you for the consultation and our work with you will be free for as long as it takes. Our fees are limited to a percentage of what we win, so there is no risk to you for pursuing the justice you deserve. Accidents and personal injury claims involve construction site injuries, petrochemical accidents, slip and fall accidents, and sports injuries. These types of accidents and injuries can take place in many locations: at home, at work, in public, etc. If negligence can be shown to have caused the accident or injury, the individual or business at fault is legally responsible to compensate the affected party. Butte County Bar Association; State Bar of California; The Association of Trial Lawyers of America; Consumer Attorneys of California; American Board of Trial Advocates, Sacramento Valley Chapter. Recipient, American Jurisprudence Award in Contracts. Author: "Contingency Fee Contracts," Butte County Bar Journal, Contributor to Owens Forms of Pleading & Practice, 1983. Lecturer, Butte County Child Abuse Council, 1976 and 1986. Butte County Delegate to California State Bar Convention, 1986 and 1987. Canal Ins. Co. v. Tackett 117 CA 4th 239.